As part of Ballet Idaho’s continued growth and development, the organization announced that Julie Numbers Smith, its transitional Executive Director since 2007, will conclude her role this season. As a result, a national search process will be launched to hire her replacement. Arts Consulting Group (ACG), a national arts management firm, will conduct the search. Using a search firm will allow Ballet Idaho’s senior staff and volunteer leadership to embrace the 2010 season preparation, while the firm focuses recruitment efforts locally, regionally and nationally to secure the best candidate to achieve the Company’s and the Academy’s long-term goals. The search process will be coordinated by Rebekah Lambert, Senior Consultant and Bruce D. Thibodeau, President. Smith, who was hired in May 2007, began as a planning consultant and then accepted the position of Executive Director to establish a resident ballet company in Boise. 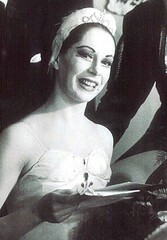 During her tenure, Ballet Idaho attracted the internationally known Artistic Director Peter Anastos, attracted a unique and very talented company of dancers, staged a new production of The Nutcracker, sustained a four-series season, launched a strategic planning process, and continued its Academy and additional dance education programs. With many strong foundational elements in place after what was originally planned as a one-year role, Smith notes that “Ballet Idaho is now poised for many exciting growth opportunities. The ‘phoenix has emerged,’ and now is the right time for someone new to work with Peter to reach new heights.” “Ballet Idaho’s Board of Directors and staff thanks Julie for her leadership,” stated Board President, Pat March. “She came to the Company as a transitional leader during a period of change and has been instrumental in driving our accomplishments. We were confident she would successfully lead our start up efforts and are deeply grateful that she has spent more than three years helping us establish a strong organizational infrastructure and a solid foundation for the future.” Peter Anastos added, “I moved to Boise from New York because the potential for greatness here is so palpable. 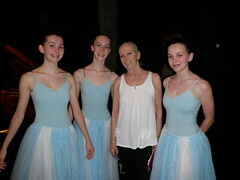 It's a wonderful community that looks forward, and Ballet Idaho is fast becoming one of the gems of our cultural scene. Dancers have come from all over the U.S. to join our movement, and it's thrilling to watch how audiences have taken us into their hearts. This is a great opportunity to create the kind of quality that lasts. “During my first two seasons here it was an honor and pleasure to work with Julie Numbers Smith. We have the kind of working relationship that makes an arts organization work best - total trust. 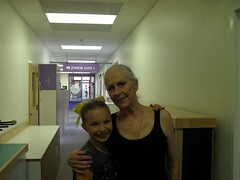 In addition, Julie and I became good friends, and we truly enjoyed being together and creating this wonderful new company called Ballet Idaho. 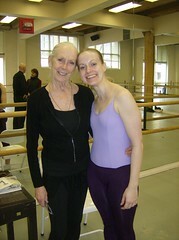 She has been a steady rock for me and the dancers throughout this time, and we will miss her very much.” About Ballet Idaho Deeply rooted in the community, Ballet Idaho and its Academy (www.balletidaho.org) create, present, teach and preserve the art form of classic ballet, serving the citizens and visitors of Boise, the state of Idaho and beyond. The organization is poised for tremendous growth in a Company that currently employs 25 artistically superior professional dancers and an Academy that inspires more than 300 students annually. The Company performs a mainstage series at the Morrison Center for the Performing Arts and the Special Events Center, both located on the campus of Boise State University. 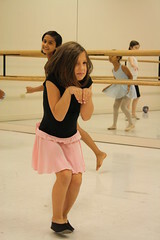 Its Ballet Innovations and Family Series performances take place at its home facility in the Esther Simplot Performing Arts Academy in the vibrant Downtown Boise Cultural District. The 2010-11 season also includes performances of The Nutcracker in Colorado Springs. About Arts Consulting Group Arts Consulting Group (www.artsconsulting.com) is the leading provider of hands-on interim management, executive search, fundraising & marketing consulting, program & facilities planning, and organizational development services for the arts and culture industry. ACG has offices located throughout the U.S. with consultants in communities across North America to best serve the needs of its clients. Even as professionals, dancers never stop learning. The Combinations About Killed Me! Who is this exotic creature with one name?